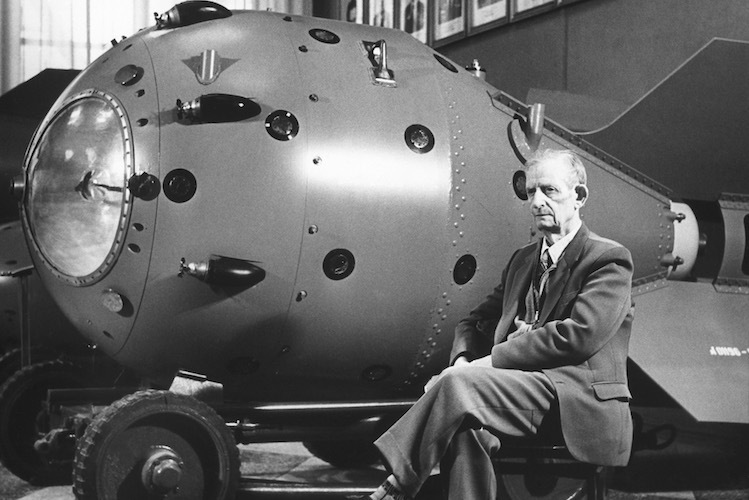 An unknown man, possibly one of the team's scientists, sits next to RDS-1 - the first nuclear weapon built and detonated outside the United States. “An unknown man, possibly one of the team's scientists, sits next to RDS-1 - the first nuclear weapon built and detonated outside the United States. ,” Stevenson Library Digital Collections, accessed April 20, 2019, http://omekalib.bard.edu/items/show/2555.